The History of music is divided in medieval times to the 20th century. It’s the period more long of musical history, this period it includes the value of thousands of years of music, in that time the church was the center of the social life and the arts. In the medieval era the annotation of music does not appear to the annotation of present music. At the moment single there is a repertoire of the music that ah survived from before 800 to the present day. The important thing in this period is called Gregorian Chant is monophonic having one melodic line without an accompaniment. Pope Gregory I, who gave his name to the musical repertory. Several scholars imagine that the repertoire could be composed between the time of Gregory and Charlemagne. By the end music include in two or more melodic lines that was heard at the same time, called polyphony. Polyphony was more difficult to compose than the monophonic, because it had to combine so that music is very pleasant. 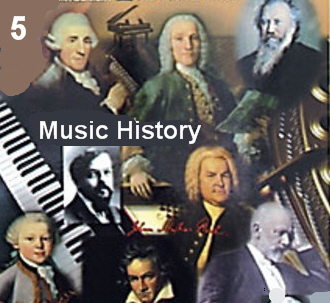 This period include Western music history from 1400, and begin the resurgence of humanism. In the renaissance the musicians and artists made works that showed to a freedom and an artistic individualism. This it help that the artists develop the characteristics of the medieval era, their styles of art returned to the ancient Greek ideals. In the Renaissance the great masters were adored in the course of their life and not after its death. This period describes to the style or the period of European music from 1600 to 1750, the term baroque was derived from a meaning Portuguese, and single was used in the twentieth century, to refer to a period of music history. This it help that the composers can express their sensations and emotions in all their compositions, another characteristic was the emphasis of the texture, the resistance of the sound and the rate of music. That period lasted only 70 years, in that time there was a change in the music that developed since there was a greater rigidity in clarity with respect to the melodic expression, however vocal music and opera still were written. The music of this period is characterized to have a texture homo phonic, which consisted in a single line with the accompaniment. In this period had several changes, by example: the opera which was replaced quickly by instrumental music. No by that reason the opera disappeared, but during the classic period several composers began to produce opera for all type of public in their native languages. The now p�pular instrumental music was surpassed of several forms, the concert, the symphony and the sonata, and the 3 derive of the sonata. In this period music was emotional and very expressive. In the romantic Melodie became the dominant feature, and several composers was used elements of the folk music to express their cultural identity. In this period was possible to developed, to reproduce, to capture and to distribute music, is in this period that the artists of music could quickly gain fame by all the country and maybe in the world. Also developed new forms and styles. Technology also became an extremely important factor in the music making during 20th century.